MICA witnessed a landmark celebration on its main campus lawn this weekend on Saturday, March 28 2015. 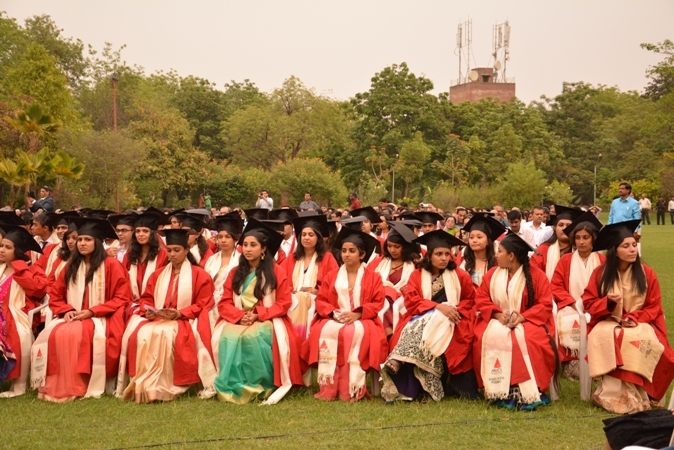 The 20th batch of PGDM-C and the 24th batch of Crafting Creative Communications at MICA and one student of Fellowship Programme in management (FPM), graduated while proud parents, friends and relatives watched from the sea of audience members who turn out for the event. 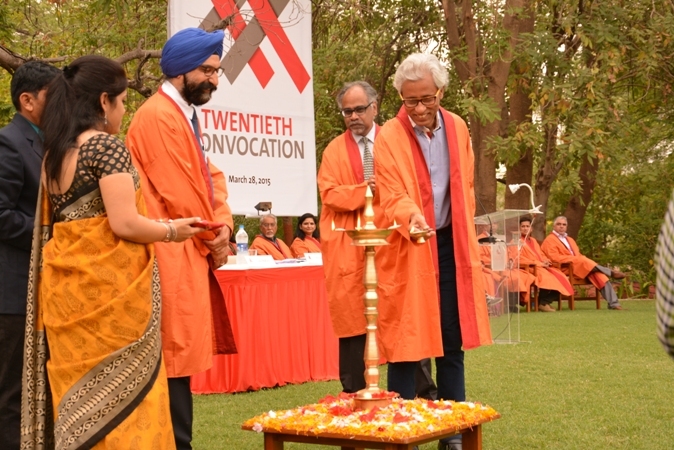 The convocation began with the Invocation ceremony, and was declared open by Ms. Indu Shahani, Vice Chairperson of the MICA Governing Council after the lighting of the lamp. She extended her warm welcome those present, and introduced the Chief Guest, Mr. R.S.Sodhi, MD, Guja¬rat Co-operative Milk Marketing Federation Ltd (GCMMF - AMUL). Post the announcement and conferring of bronze, silver and gold medals on the graduating students - for achieving academic excellence, was the release of the MICA Year Book, which captured the essence of nostalgia and fond memories for the outgoing batch of students. 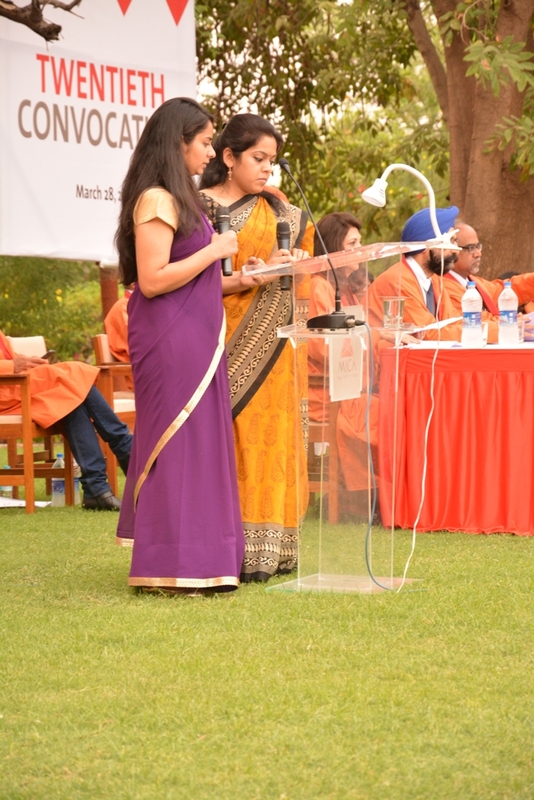 This was followed by a convocation address by the Chief Guest, Mr. R.S. Sodhi. Mr. Sodhi began his speech with a quote from his Convocation address at IRMA in 1982 which was given by the father of the White Revolution, Dr, Verghese Kurien. He said that for him, this quote acted as a catalyst because it stressed on the importance of values. He wanted the young graduates to bravely go into this world and work tirelessly for the larger good of humanity. Highlighting the importance of integrity and work ethics in a cutthroat corporate setting, Mr. Sodhi urged the students to be honest to themselves and honest with others. The other important aspect of his speech included the necessity of having virtues such as patience and passion. “The younger generation of today is very impatient and looks for speedy career growth. It must realize, however, that professional life is very long and focus should always be on a long-term goal. As you would strive ahead in your career, you may face situations where your colleague might achieve more success than you and thus you would also be tempted to follow the similar path, compromising your value system. But as a member of young, elite, educated, smart, knowledgeable fraction of the society, you should remember that if not today, tomorrow the success, definitely, would be yours. So the question is not about achieving success but about values, because this only will give you satisfaction when you look back at your life, when you would be at my stage”, he said. He concluded the speech with a quote by Jimi Hendrix, “When knowledge speaks, wisdom listens” and encouraged the students to ponder over the thought of giving voice to the voiceless and striving towards the greater good. Other aspects of his speech included the significant jump in average salaries of students, the note-worthy initiatives, projects and award-winning achievements of its FPM students and 24th CCC batch. On an ending note the director said “What would happen to the nature of the conversation in relationships if we began by thinking “How can I be of service to you?””. 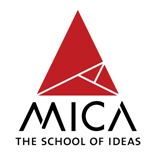 Highlighting the past year’s achievements by the students, faculty and staff alike, Dr. Rao thanked the MICA family, including the students and their parents for making the graduating batch a successful reality. Ms. Indu Shahani thereafter declared the convocation closed, to proceed with the Convocation procession. The starlit night will forever be etched in MICAn hearts as the MICA family and guests enjoyed a lavish dinner hosted to mark this spectacular milestone in MICA’s history.